Impact of TRIPS on us ! A week back Ajo , our IT system man at Al Balagh, the place I work, met me to explain an unusual scenario. An international software company having solutions in Structural Engineering from their regional office in a neighbouring country is pestering him that one of our computers has 'infringed their intellectual property rights' and as such we have to buy the legalized software at an offered exorbitant price or face consequential legal action while our man swear that none of our hundreds of computers have done so . Aside the fact how we resolved the matter, my thoughts went more deeper on the subject later. All of a sudden from a stand that protection of intellectual property rights is a must for the innovator, the consumer also could be ' a victim of circumstances', I have learnt. All of a sudden such copy right holder can ' threaten' the innocent consumer with legal consequences on a fast move and then it becomes the turn of the consumer to prove innocence! For most of my readers who are not exposed to related business or the topic could be very 'boring' but I promise I have done the best to make it simple and interesting as possible .Nevertheless the basic knowledge on related topics would be inevitable for survival for anyone in the present and futuristic world the way innovative Scientific, FMCG and IT products are flooding the market! IP is creations of human mind - of an individual or a group or a firm. Inventions, literary and art works, commercial designs and symbols fall into such creations.IP is protected by law such as patents, copy rights and trade marks. Such laws are aimed to give a striking balance between the innovator and the public end users to encourage innovations to take place more and more in the world for the benefit of both . All known civilizations - Mesopotamian, Egyptian, Greek, Roman, Indian, Chinese....all have contributed for the growth of the societies including many remarkable inventions which followed but were not 'clever' to protect the IP. Thus the originators of gun powder , yoga or paper...all lost the chances of making fortunes! When man started making painting of animals repeatedly in a peculiar way in caves and later making seals on pottery and bricks in pre historic days , the history of trade mark had commenced. In the modern history, it is recorded that in 1266 some bakers in United Kingdom stamped their marks on the bread. It was in the eighteenth century a trade mark legislation came in the world for the first time . It was surprisingly in a country which was relatively new to the world- United States , followed by many European countries. In 1883 first international trade mark agreement came to existence. First trademark protected by the IP was Coco Cola for a tonic beverage in 1887. Pepsi Cola came to the scene in 1896 while Quaker for oats in 1895. 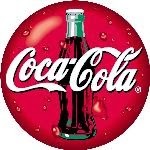 To this day the most popular trade mark in the world remains to be Coco Cola bottle ! Some trade marks such as Aspirin and Thermos were so much used by the public that they became generic names. Patent is exclusive right of an inventor given by a country for a limited period of time generally 20 years. In the modern history of the world the most prolific inventor and patent holder is none other than the famous American scientist Edison. He had 1093 patents registered to his credit . He held that record for a long time till in 2003 the Japanese inventor Shunpei Yamazaki broke the record with 3193 patents. Currently the title is with Australian Kia Silverbrook . He has 4629 patents to date to his credit! Again in the case of patents , US took the lead for legislation. In the early years of the nineteenth century , King Camp Gillette ( safety razor), William Kellogg (corn flakes) and Willa Carrier (air conditioner) all had patented their products to cite a few. 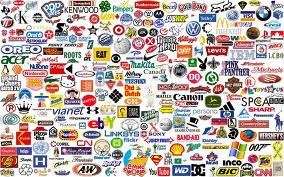 They all had the advantage of their innovations commercially for the same reason which keep them the most sought after brands in the world even today. We all know the 'live' row on patents between the Apple and Samsung. In a lighter note I wonder why The American President Theodore (Teddy)Roosevelt , 26 th president missed his chance of making a fortune in 1902. 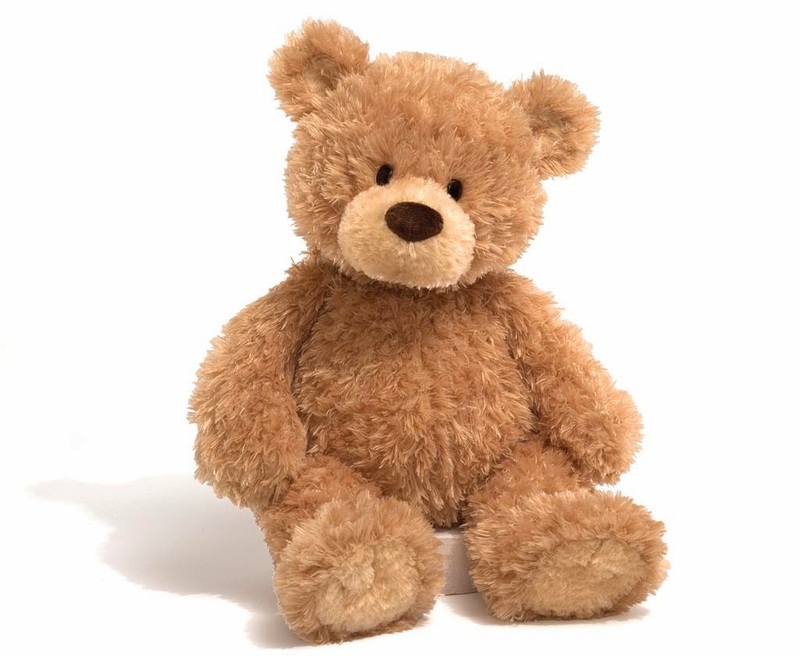 Had he been commercially alert ,our 'Teddy Bear' , the most popular toy in the world could have patented in his name since he was instrumental in giving the toy such a name!! Again copyright laws were formulated and legalized in UK in 1710 and in US in 1790. Sooner or later all European countries followed suit. Copyright is not limited just to literary and artistic works but include photographs, paintings, movies, sculptures, computer software...the list is nearly end less among the products we use day to day. 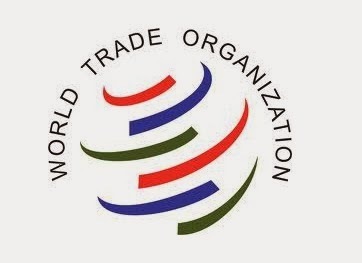 World Trade organization((WTO) with 159 countries on board and World intellectual Property organization(WIPO) lead the IP related issues in the world. Trade Related Aspects of the Intellectual Property Rights (TRIPS) is an international agreement administered by the WTO. Right from Switzerland , the country which stands 1st in the Global innovation Index rankings to Pakistan,Sudan and Yemen with bottom ranks try to agree together how to go about the IP with their periodical meetings. World Book and Copy Right Day is 23 April each year . UNESCO celebrates the day as World Literature Day aimed to promote reading, publishing and protection of copy rights. Interestingly UN chose the date of 23 April because it is on that day in 1616 that three giants of literature died- Shakespeare, Cervantes and Inca Gracilasco de la Vega. Emerged , emerging and poor economies.. It can be found that US took initiative in legalizing IP in the world. It was also US that took lead in inventions since 18th century among the countries in the world. Both actions are compatible to each other and as such US followed by most of the European economies got strengthened by this act in preservation of their technical and commercial interests while almost all the countries in Asia, Africa and S America remained mute spectators of what's going on. There was no 'problem' as long as the status continued but towards the end of the twentieth century few countries like India and China among the poor lot started emerging scientifically and commercially started raising their concerns to some clauses of implementation of TRIPS. Ancient India and China might have contributed the maximum to inventions and philosophies of the world of that time . But they never thought or knew how to protect them . Later India was colonized by so many invaders of many kind and India had a very dark period. The plight of colonized India was so poor that while being the largest producer of cotton in the world, Britain took the cotton at cheap prices to Manchester mills and exported back the textiles to India at fancy prices ! Indians were not aware of even human rights those days, forget about copy rights. After India got the independence also awareness in the matter was not adequate. India got a 'slap' on the face and woke up from the 'sleep' when an American company was given patent for Basmati rice ! That was late as in 1997. Aromatic Basmati rice is grown in the world only in India and Pakistan . Basmati rice to India is like champagne to France. As far as I know the row is still live and India and Pakistan has joined together - a rare context- to fight this out . China and India having average and below average Global Innovation Index ranking of 35 and 66 respectively among the 142 as of now is expected to advance in the decades to come. Social fabric of these countries along with the newly acquired scientific advancement and huge populations, some of them still poor but not ' intellectual poverty' ridden , makes these countries to 'challenge' the existing IP laws which is not liked by the west. In the month of August 2013 the Swiss multinational drug maker Roche had to withdraw its patents for the breast cancer drug Herceptin in India. Earlier India had similar tiffs on drugs with companies like Pfizer, Bayer AG and few firms in the IT. India making strides in scientific research is not without criticisms and understandably so ! While the patent holders of the west think that Intellectual Property Rights as of today is a must lest it will harm the patients and customers as well as the investors when they have to spend a lot on R and D, countries like India , China and few others think that they are simply expensive absurdly for their people . I am sure the silent 'war' will be on for years to come but patents and brands are here to stay for sometime. Our recent trip to Turkey was predictably enjoyable. Istanbul,the bustling city stands loud and clear around the historical charm of Black Sea, Marmara Sea and the linking Sea of Bosphorus between them under which a new underground rail to connect Europe and Asia has been established the other day. The cultures of Europe and Asia blends so well to give any visitor an unforgettable experience which is well known to the tourist world. 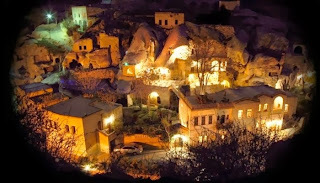 Here what is given is not about Istanbul but our experience in another lesser known location in central Turkey, Cappadocia. The place is known for open air museum at Gerome ,ancient underground cities and fabled rock formations . More than that you may read narration of what we -Geetha and I- went through for our journey up the air in a hot air balloon there which was unique,at least for us. Istanbul in Turkey was always in our list of 'places to be visited' but not Cappadocia. But when the travel agent suggested it for the famed caves listed by UN and hot air balloon rides we decided to consider it because otherwise the place is known well to Geetha being biblical name. She was not initially very fond of the idea of flying in a balloon for obvious reasons. Of course I had to dig for more info on the place and safety of balloon ride before we confirmed the trip and started. It was dusk when our Turkish Airlines plane from Istanbul landed at the small airport at Nevshir, in central Turkey.The guide was there to pick us up to drop at the hotel, which was about 40 kms away. We had booked a hotel to stay which is not normal, a cave hotel in a remote village. It was getting dark and the roads were deserted . After Urgup, a small town which we passed, as the guide started driving up thorough the steep curved roads without a sign of human habitation or lights ,we had doubts on our own wisdom for choosing such a hotel in such a location. To make matters worse, twice the guide lost his way, which we thought unusual in such an arranged trip. I had to struggle to keep my cool! Soon we reached the hotel Gamirasu around 8pm, the scenario changed dramatically. We climbed the steep steps built below the canopy of grape vines with the ripe fruits hanging down and entered the reception which is again in the cave. An accolade by 'Trip Advisor' which was hanging on the wall gave me the confidence that we have come to the right place. Soon we were ushered to our room- something beyond our imagination in a cave! Gamirasu is a five star hotel built into a natural volcanic rock cave but with all the modern facilities including a Jacuzzi, mini bar and wi fi! The architect of the building has successfully taken maximum efforts to see that the new structure merges with the existing caves in the rock which was habituated by Orthodox Christians in the 12th century hiding from their persecutors including their monasteries, paintings and churches. Within the hotel premises they have preserved what is left, one of such which was so close to our room. As soon as we got into the car which the guide had brought to pick us up in the airport, he told that we had to prepone the balloon ride to the very next day morning since the scheduled day which was a day later is likely to be windy and partly cloudy due to which they may cancel the fight. We did not want to take a chance.Before he parted us he told us to be ready at the hotel lobby at 5.20 am, not a bright idea when we had checked in hardly at 8.30 pm! We did not want to miss Turkish salads and grills in any case. We were picked up promptly the next morning. The outside temperature was just 3 degree C and for us South Indians it is pretty cold. We had anticipated this weather and had brought enough woolen. It was still dark when we reached an open space where a lot of balloons lying 'deflated' around on the ground . Hot tea/ coffee was served to warm us up and the passengers started to mix slowly. The balloon of Cihangiroglu Balloons, the company in which we had booked started getting 'inflated' with the hot air with liquid propane gas , I presume. Within 30 minutes the balloon is in the erect position to take off with the bucket forcibly kept on the ground tied with a rope on front bumper of a 4 wheeler parked closely. Passengers were asked to be in the bucket, which is made of rattan , having height of 5 feet . Each one has to use a small ladder to get to the top of the bucket and then jump in. A bit difficult for our age but we managed. 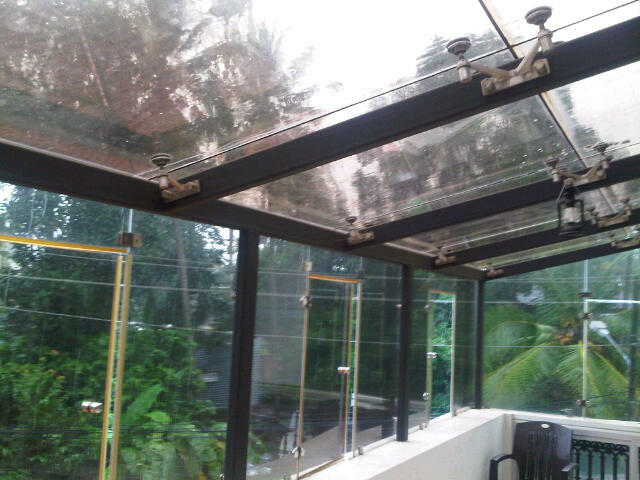 The bucket is partitioned to 4 equal rectangular chambers plus a central place for the pilot and gas cylinders/burner. Five passengers in each, twenty altogether got in. Except us and another Pakistani couple from Egypt all were from UK, interestingly more ladies in their mid sixties or older!! I think Europeans and Americans travel world wide as tourists more in that age or later contrary to the nature of Indians. Pilot, an handsome youngster- I used to joke to Geetha that there are thousands of Turkish youngsters whom we have seen while being there to make our Bollywood heroes and heroines run for their money- introduced himself and briefed about the safety procedures to be adhered while in flight. He emphasized on how we have to position ourselves in the bucket while landing and asked us to rehearse and show him .Once he was satisfied he gave the signal to unknot the rope and we slowly started going up. The pilot said " Lets have a good flight" to all. The Pakistani cracked a joke to the pilot "Hope this is not your first flight". The pilot in turn seemed not much amused over the joke or he did not hear him properly, as he was concentrating on his machine. The take off was smooth. Horizon had brightened with the sun rise. Air up was colder getting to the bones through the hand and feet, which reminded us that we had missed bringing hand gloves. As a whole it was pleasant feeling as we might have moved about 300 meters up. Hot air lifts the balloon in the air but goes thereafter entirely dependent on the wind. The balloon was ascending and descending , may be the pilot was searching for air current in the desired direction. We started drifting further up. Below the peculiar landscape of the region Cappadocia with volcanic rock formations could be seen . 'Bird's eye view' of the 'Fairy chimney' formations as it is called is amazing with distinctive colours and shapes . Barren hills but valleys full of vegetation-vine yards and orchards mostly. Few of the old English ladies were chatterboxes even up there! View from the balloon as it reached the highest point it could technically, is breathtaking! So many balloons below you with a stunning landscape! Incredible panoramic view! After sometime drifting, we started descending slowly but steadily, opposite the way we went up. The Pilot looked to me a bit struggling to find a suitable place to land as we came down more. When he had done that he ordered us to sit in the basket since he was about to land . The basket came down and hit top of a flat plateau with a jerk and went up a bit again. All the passengers made a mild common shout of "Oh". Then seconds after it hit again on the ground and came to a stop on a bushy place. All joyfully clapped the hands . Since we had a smooth take off , mistakenly I thought it will be as smooth while landing. Four assistants came running from the four wheeler which was there at the start, now parked not far. Obviously the pilot might have radioed them the location. As soon as we came down before we were out of the basket our Pakistani friend told in my ear "It seems the pilot crash landed. You can see from his face". Apparently he had not since another two balloons were seen landing in the same way as ours did. Getting out of the basket was more tedious for us than getting in. It could be to build up some adventure atmosphere among the passengers for more than fun that the pilot announced that all will be distributed with certificates . All welcomed him when he said that he is going to open up a champagne bottle to celebrate the occasion. He did so in the traditional way of opening a bottle but on sipping we found out that to be sparkling fizzy grape juice ! Nevertheless it is a great experience one should go for given a chance. Back to Gamirasu for their spread out breakfast including fresh organic honeycomb and fresh Pomegranate juice! Later the same day we had visited the Kayamakli underground city which is in the UN Heritage list . These caves were carved out of rock formations with low height interconnecting tunnels, stables in the first floor and living floors, dining, storage for wine / oil, kitchens and churches in other floors further down with enough ventilation shafts. There are 8 floors down but only 4 are open to public.It was made and used by early Christians in the second century before Christianity became an accepted religion during the time of Roman Empire. Such early Christians there suffered persecution at that time because they refused to pay homage to the emperor as divine and later from others. When it comes to early Christians many facts are not given due publicity or recognition it is eligible for in the church history -could be due to the difference of interests among catholic and orthodox churches-as in another case of Saint Thomas Christians of India, a sect in which we belong . Christianity came to India as old as this underground city but never persecuted to this day and the community is thriving in India and very much part of Indian society. A lot of paintings on life of Jesus and Bible done at the time of Byzantine church can be seen in the caved churches and monasteries at Goreme open air museum, which is the star attraction of Cappadocia. Though patron saint of United Kingdom, earliest known painting of Saint George and the dragon also can be seen there. Another matter which I noticed in these caved dwellings, on the outside a lot of pigeon holes are also carved .It seems pigeons were encouraged for mainly food and fertilizer those days. They were also used to send messages while their egg shells used in making the plaster and egg whites as a protective glazing for the painted frescoes! Gamirasu hotel has successfully blended this concept of pigeon holes in the suite they gave us for lighting. As we were driven in certain areas where fields full of ripe pumpkins in thousands were to be seen .We were told that the local people use only the seeds of pumpkins but leave the flesh of the vegetables in the fields for the birds !! ALL PHOTOS ARE MINE EXCEPT GAMIRASU, THANKS TO THEM. All along whenever we spend our annual vacation of one month in Kerala, India, it will be full of various socioreligious events to attend. Marriages, betrothals, funerals and baptisms among relatives, friends and neighbours is inevitable. Except for the funerals all these social functions are not only very colourful but end with buffet full course luncheons or dinners ! For funerals , only difference is that we wait for few weeks to do that ! !Then you have the festivals at the temples and churches. While we are there some of the relatives expect to call on them at their homes on visits at their convenient dates and times! As such always we have to run against time since we have to cater to a lot of personal and semi official needs as well. But it is these cultural activities and social bindings that makes India and Indians different to others. My mother and her three living sisters are octogenarians - in their eighties.Only living brother is a nonagenarian, at his 96! None are senile and keep healthy for their ages. She had lost one of her sisters at 91 and brother at 86. Father and mother died at their 93 and 84 respectively! When one of her sisters - my aunt- valiamma turned out to be 90 and her brother Valliappa 96 recently, we the close relatives of the next generation obviously thought it is time for a celebration. It was decided to limit to a direct family members' reunion of 4 generations, than going for an public affair, although my aunt is a known person in the society and in public. Appammai, that's what I used to call her, is a professional gynaecologist who served the Indian society through 3 hospitals for more than half a century. Professionally qualified and having worked initial years in Christian Medical College ,Vellore she chose to spend her career in Jubilee Mission Hospital ,Trichur and later Lal Memorial at Irinjalakuda where she is put up. I shall refrain from what she has achieved for the hospitals she had been working because neither it may not be fair or I am not qualified in that field to say that .But hers was an house hold name in Trichur district among the ladies particularly at her hay days, probably for 25 years!Other than her professional capabilities,best of her quality which anyone will admire is her simplicity.Her looks,attire and approach to life is very modest and have been practicing her profession with a 'Mother Theresian' zeal!She shunned publicity of any sort all along her life and never bothered when hardly official awards of any sort from the Govt. or NGOs come her way. Her patients made her world ! All work and no play might have made Jack a dull boy but not Appammai. Not only she spent most of her time in hospital but in the house also she was proactive with all the inmates. She interacted very well with her relatives, friends and neighbours. Still she does. She was an avid reader whenever time allowed her. Probably she must be the only doctor in the world who has been going to sleep, dressed well in a Saree with a properly combed hair so that she can rush to hospital as fast as possible on emergency calls in the night!! She used to drive her own car till recently. For the evening to commemorate her 90th birthday, it was decided that there will be a dress code for the participants which is seldom practiced in Indian social gatherings. But instead of going for western or expensive dressing , set mundu a traditional simple dress for the ladies was fixed since Appammai is fond of such a dress and men for jubba and mundu/kurta which is again totally Indian. Albeit the fact that almost everyone had to go for new dresses, it worked out to be nice and a feast for the eyes. In a lighter vein ,this reminds me of a comment of Sarojini Naidu on Mahatma Gandhi "It costs a great deal of money to keep Gandhi in poverty"! 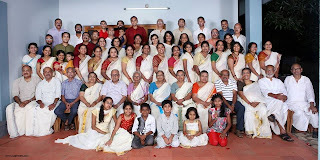 Almost 4 months prior to the D-day, the date of 10th August 2013, was decided to facilitate all to come over especially for those who are outside Kerala and India .Over 60 members of exclusive Mookencheril and directly related families but spreading in 4 generations of different ages from infancy to 96 finally met . Generally in such gatherings 2 generations will be put off but here all could enjoy for some strange reason. 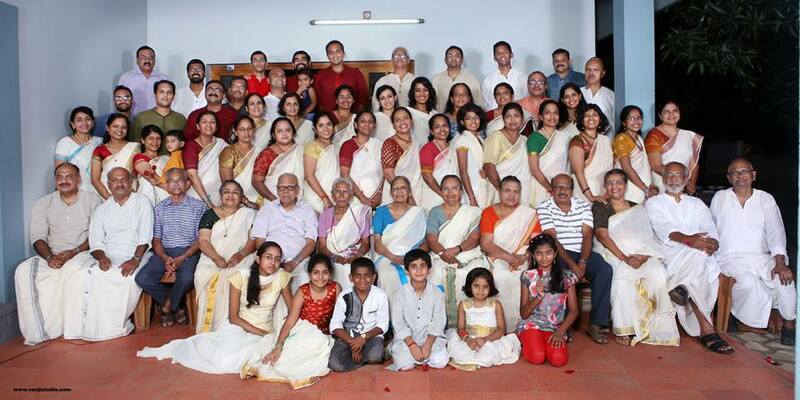 'Ponnada Aniyikal' - a customary garlanding function with a shawl in local tradition is nothing new.But when it was done to a person of 90 years old by her own sisters and brother aged between 80 to 96 it became a family history. Another novel idea was 'Taking salute' by her - on a line from the 'babies' of the family- a dozen of them- who came to this world in her hospitals, might have seen her face for the first time than their own mothers, who followed the line to give the salute. The current age of those 'babies' now ranged between 6 and 52 is another matter!! Thoughtfully the 'ceremony' was divided into to 3 parts. First was 'Kulathil kuli' -Taking bath in the 'natural swimming pool' or pond at the tharavadu- ancestral house . I used the term 'natural swimming pool' because such a pool which is there all along , has inflows from the natural springs and outflow when it reaches a level, round the year which makes the water naturally filtered, hygienic and crystal clear. In olden times this pond was used by all inmates of the tharavadu. Whenever I stayed there as a school boy I used to fully relish such baths .Kulam , the pond was an epicenter for fun for the children and it is to be noted that all our octogenarians and nonagenarians including Appammai were great swimmers and divers till they became 'old'!! Although the use now has considerably reduced, it is well maintained. 'Kulathil Kuli was restricted to strictly those who were interested but in order to have a nostalgic touch, it was a nice idea to have Lifebuoy soap distributed! The second part which was semi formal meeting also went very well as planned. Third part was party games followed by a dinner catering mostly traditional dishes. But particularly one game - one among the crowd instantly suggested a new wild name for it- went very well with the crowd which lingered with all till we parted. It is good to see that not only the old but new generations of the family also contributed and enjoyed the event which turned out to be an outstanding day for fraternity,fun, frolic and feasting. While we were coming back to Kochi in the bus which we arranged to avoid driving cars in the night, my mind naturally slipped to Thavo, my late brother. I really missed him for the function which we attended. Whenever something really good or bad happens in my life since he has left us, I used to miss him, still.By this month one more year is over since he moved to 63,Ravipuram(http://www.jaisonchacko.com/2012/10/63-ravipuram-revisited.html). Gone but not forgotten!! Last 3 weeks I am here at Kochi, my home town in Kerala... on holidays, enjoying the rains we are blessed with. This is something we miss in Qatar . For that matter I think Kerala state is having the highest amount of rainfall in India, three times higher than the national average. During the monsoon months of June, July and August every year we have almost continuous rain which makes the state have 44 rivers with perennial running water . It is essentially these monsoons which make Kerala unique in the world . But for this monsoon, Kerala with a sobriquet -God's own country- would not have been what it is today including getting enlisted to a destination among 50 places of a life time to visit charted by National Geographic ....They have projected Kerala under the title 'PARADISE FOUND' ! Few musings which come to my mind as I sit and enjoy the 'live' rains from our glass house at Kaloor .....3 unique aspects related to monsoon in Kerala which one can find only here- almost- in the whole world ushers to my mind..
Any one who is born and brought up in Kerala if asked about the monsoon rains will be first reminiscent about the torrential showers in the first week of June when the schools reopen each year ! Mostly the monsoon in Kerala will hit depending on the date when thousands of schools opens after the long summer break ! If it is on first of June , one can expect rains to hit that day .If not, which ever is the day of reopening! !The purchases related to ' Back to school' will include an umbrella and/or a rain coat for anyone from play school up whether in a village or town . None will forget the 'drenched' experiences of coming to the classes . I am not an exception. മഴ മഴ കുട കുട ! ( Rain Rain Umbrella Umbrella !) a caption made by an umbrella manufacturing company in the later years was an apt but descriptive of the monsoon months .But now I wonder how those sari clad teachers and office goers were managing these months ! Chakara in Kerala - no parallel in the world ! Rains are normal in many countries . And monsoon is not limited to India . But a rare phenomenon in monsoon only takes place in Kerala in the whole world - it is named Chakara in the local dialect Malayalam. 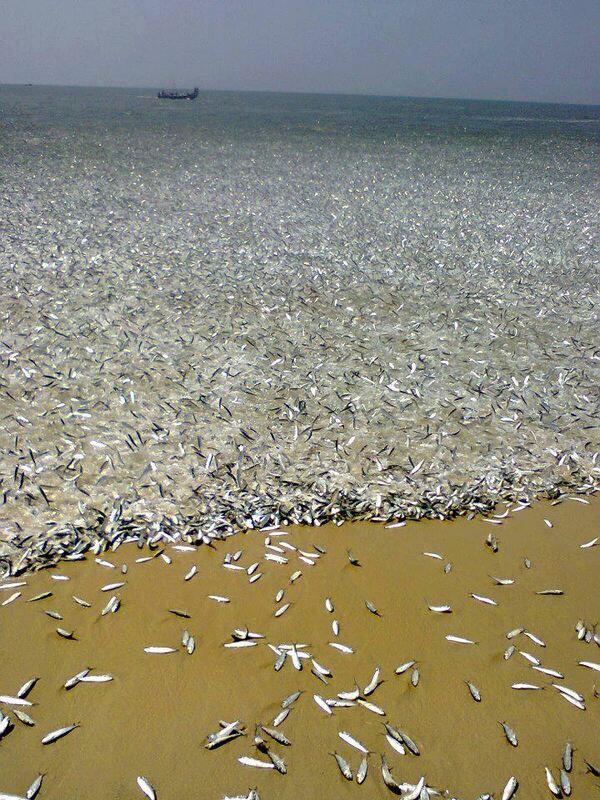 As a result of mud bank formation in the Arabian sea during this rainy season, in certain areas of Kerala coast large schools of fishes throng together for some strange reason ! It can remain so for few hours or days when the fishermen harvest them with ease !Mostly it is sardines and prawns. This nature's gift here is only one of its kind in the world which is yet to be known to outside Kerala . There could be a lot of potential in tourism to be tapped in this matter. A common man's explanation is that during monsoon a lot of clay particles are brought to sea from the back waters through subterrean channels . Some areas of sea because of the large presence of clay particles becomes still and calm in an otherwise rough sea. The calmness plus the fact that more oxygen and nutrients are released in those areas from the clay make the fishes to rush to the spot which varies to few square kilometers. There are contradicting theory that this process of 'calm sea' takes place because of the rip currents in the region . Could be there are more reasons, all I leave to experts . Each Malayali knows about this from time immemorial but took for granted, it seems . A British had to collect the data and put in the scientific records for the first time . He was Robert C Bristow , one who engineered the Kochi port . It was Thakazhi Siva Sankara Pilla who narrated about chakara in his famous novel 'Chemmeen' . When Ramu Kariat who put the novel into a famous movie of the yesteryear , he had covered the impact of chakara beautifully. Chakara need not come every year but also can appear many times in a year ! In my young days when Kerala had lesser refrigeration facilities , I remember sardines used to be abundantly available at throw away prices during 'Chakara'. Literally it was 'throw away price' because if unsold they had to use as manure for coconut trees ! Even otherwise sardines used to be the cheapest fish which is available all round the year . 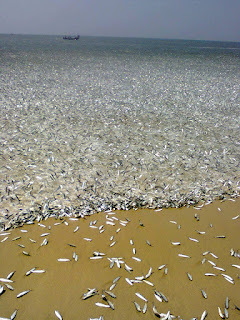 This could be the reasons for sardine to be the popular fish used by the people in Kerala . Inadvertently I think keralites, who eat a lot of fish , has benefitted from their 'love' for sardine cuisines. Omega 3fatty acids which are essential for the normal health and growth is most found in certain fish oil like sardine's . These fatty acids is uncommon in most of the vegetables, fruits , cereals , milk or bread . Omega 3 fatty acids has cardiovascular benefits plus it helps the brains to function better !! I used to think that all these malayalees have more 'common sense' thanks to sardines !! I may give a good rating for the 'common sense' of keralites which they all possess irrespective of the various religious background they hail from or whether they are rich or poor in all matters except politics and 'self ego'. I am afraid most of them may slip to 'common nonsense' mode when it comes to later two especially those who have not ventured out of the state, with no offence meant to none !! But once they are out of the state they are so different!! Sardine is cheap all over the world . I used to like it although it is not considered to be a 'class' variety of cuisine. I remember an occasion years back when, in presence of Geetha ,I selectively ordered for a choice of sardine dish in an official dinner in a five star hotel hosted by our Scottish hosts in Peterhead, UK in a reflex action !! I did not bother whether someone among the guests lifted his eyebrows seeing this ! Coming to back waters in Kerala , it is first place where it gets inundated during monsoon .Back waters and monsoon in Kerala are interrelated . Back waters is a chain of lakes and lagoons linked by natural rivers and canals. It lies almost parallel to the Arabian Sea coast . It is just beautiful! 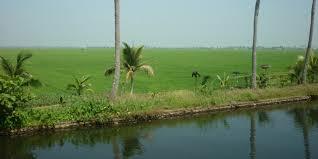 What I want to bring out is about the below sea level farming system of Kuttanad , center of the backwaters. Kuttanad where below seal level farming is done. Note the level difference of paddy fields from the adjoining rivers . Except for The Netherlands this system of farming one will never find anywhere in the world. Protected by dykes and bunds all-round, paddy is cultivated in large stretches of land reclaimed from Vembanad lake. Below the sea level by over 1 meter , paddy is cultivated three times a year ! Kuttanad , located in the the center of backwaters remains the rice bowl of Kerala even today albeit food habits of Keralites are drastically getting changed. Paddy cultivation requires a lot of water . 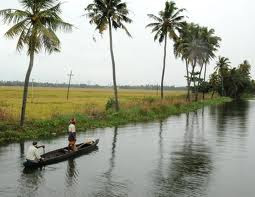 Normally water is to be pumped in to these lands for the purpose .But in Kuttanad water has to be pumped out of paddy fields to have the right soil condition for the paddy to grow . I don't know when this practice, unique in the world except for The Netherlands started but for at least for the last 150 years it is on. When it comes to rice,again malayalees are different.They eat only 'boiled' rice or brown rice or parboiled as it is called where as others in the world eat normal polished rice. 'Boiled' rice is rice with bran -rice partially boiled in the husk .This has been the habit for centuries for keralites .Uncle Ben , the most popular branded parboiled rice in the world , made in US, came to existence only for the last 50 years or so. But taking the advantage of international acceptance of brown rice, it is the most popular brand,now that people are encouraged to eat brown rice for health reasons than polished rice . Kerala's sub sea rice should have been branded and made popular by now .Better late than never , hopefully Kerala rice manufactures/exporters can take a lesson here,I think. Towards the end of monsoon season in Kerala , just before harvest festive season commences it is the time for many boat races which takes place in Central Kerala ,again in the back waters. Although boat races exist in many places elsewhere , the shapes and pattern of the boats used here in the race makes it unique in the world. 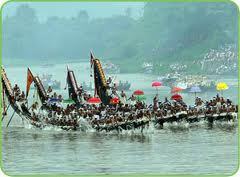 Snake boats are called thus because of its shape resembling a head of a snake . History says that many local erstwhile rulers in and around the backwaters used this pattern of boats especially to attack others' naval forces and drown them, in use at least for the last 400 years! The length, breadth and shape of this boat made out of timber of special trees, are designed and made only by talented master carpenters. World class resorts at affordable prices make this destination much sought after . Only difference I could see here and Europe or Far East is that it is better to take a conducted tour than not. Do not visit unless you have arranged everything which can be easily done from anywhere in the world. One will find the climate a bit humid but that is what makes Kerala looks all green! Having widely travelled all over the world I always recommend a trip to India and Kerala .It is worth it! 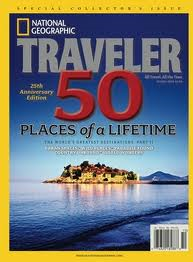 !National Geographic is fully correct - Kerala is a place of a life time to visit!! DAYS OF SORTIES,CNN AND MASKING TAPE! 1 August 2013. By today it is exactly 23 years since Iraq forces under Saddam Hussein invaded Kuwait.As the world listened and watched this surprise move,the incident triggered 7 months of volatile ,uneasy situation in the region.Nostalgic narration of those 'tensed' days in 1990 and early 1991 following the invasion,experienced by an Indian expatriate family in one of the gulf states,Qatar. 2 Aug 1990 ,wee hours at Mumbai. Next 7 months which followed the invasion was a continuous period of uncertainties for us.Probably that was the period I had spent maximum time each day on newspapers and TV news daily. Initially I thought Saddam has done it for bargaining his position with Kuwaitis and the issue could melt down amicably being Arab countries.When UN Security council imposed a worldwide ban on trade with Iraq on 6 Aug 1990 also it did not sound an alarm for me although it was too fast, I thought .But when the American forces landed in thousands to Saudi Arabia and else where under 'Operation Desert Shield' it did!That was on 9 Aug 1990. 'Propaganda' war was already on ! As the whole world watched, Saddam declared Kuwait as a province of Iraq to be followed up with increasing the troop level to 3000,000 there.In counter action American and Allied troops presence went up to 7000,000 in middle east. All the diplomatic efforts taken by many went without tangible results.Many Indian expatriates in Kuwait had to return to India and had to go through many ordeals which was well covered in the Indian press and TV for obvious reasons.Malayalam channels telecast the stories more than real,sensationalizing the actual news.Mine and Geetha's parents were naturally concerned . That was when our children Vinay and Vishal were 9 and 7 years old. I used to drop them and pick up from the school daily - something I could manage from their KG classes to 12 th grade until they left Qatar for professional studies!In spite of practical difficulties I used to do that for two reasons. First it was an interactive session for me with my children in the car, for nearly 45 minutes a day, since otherwise I was always busy officially , working 10 to 12 hours daily,6 days a week, always running against time, most of the days coming home at 8PM! Second I could take advantage to start my job at 6.30 AM every day after dropping them in the school !While waiting for the children in front of the school at noon, most of the days I will get a chance to chit chat few minutes with Govindan Kutty and Thomachen , two good old friends of mine in Doha hailing from the same home city - Kochi. Since invasion of Kuwait took place, we used to share whatever we had on the subject , updated each other, although subjects of our discussions were never limited to serious topics !We never got tired of talking about the good old school/college gossips....till this day to the utter surprise of our wives ! 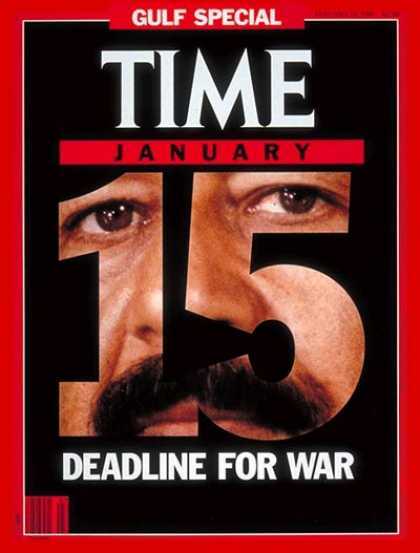 On 29 November 1990, UN Security council passed a resolution authorizing use of force against Iraq if it failed to withdraw by 15 Jan 1991.The writing on the wall was clear and loud.A war was imminent.Many in the expatriate community in Qatar started sending family members home especially in the wake of a rumour that Iraq possess chemical weapons and will not be shy to use the same in case of a war! Many Indian parents sent their children to study in Indian schools.School authorities - just two Indian schools here at that time - convened special meetings of parents to explain the situations and try to quench concerns of parents. In Kerala there was a problem of supply and demand regarding school admissions! There was a mad rush for air tickets to fly out of the country ! But otherwise the country was cool to the crisis.Authorities made sure that there is no panic among the public . At Al Balagh,where I work our operations went normal .Apart from the anxieties I had in mind, everyday life in Qatar was as usual,contrary to what they thought in India. One late evening when I returned home from work Geetha told me that Vinay has a 'draw and paint' competition in the school next day and the topic given is 'Any new scene in Doha'.I suggested to draw 'sailing boats', a monument which was constructed new in the middle of the roundabout near airport.When he said he wanted to see it at close up in order to draw next day,I decided to take him to the spot.We - Vinay , Vishal and me- got into the car with some paper and pencils without thinking the fact that it was already 9 PM and the venue is near the airport in a ' pre war time'.We had stopped near the roundabout , by the side of the boundary wall of the airport in a spot where we could see the monument clearly in the night but without the usual bright lights.As we were drawing few lines a police car stopped behind us and a policeman came out to watch what we were doing.When he saw us drawing a sketch of the monument he signaled to the officer who was in the car who also then got out . I had to do some hard explaining to them to let us go,which they did once they were convinced of my intentions! Sure they might have thought that I was crazy! Geetha and I discussed how to go about it since war was almost sure to take place. Probability of use of chemical warfare by Iraq as suggested by US forces complicated the situation.We were getting the latest news from all over the world since Geetha was working as Foreign Press Reviewer in the Ministry of Information.Many newspapers were churning out articles on chemical warfare and its impact on those would be affected ! Right from cancer to impotency were potential side effects!! I suggested to Geetha that she and children could leave for a while to India like most of the Indian families in Doha did at that time cutting down the risk for the whole family.She categorically objected to that, contrary to her approach in general.Either we all go to India or stay put together in Qatar was her stand. I had to yield to her decision. 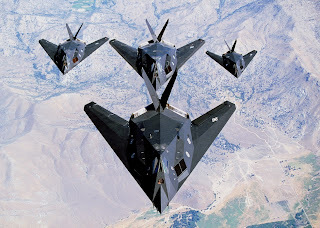 When it was sure about the war with us likely to be involved although distantly,I started reading carefully about the weapons each side may use and its implications.For the first time I learnt technical details of Nighthawks,B52 and Patriots!Saddam Hussein's retaliatory measure would be the SCUD missiles , it was predicted. SCUD missile is based on Soviet design with wide range of derivative variants indigenously developed in other countries such as Iraq.Iraq had successfully increased her SCUD firing range to 900 kms.One day I took an enlarged world map and physically measured with a scaled compass to see whether it will reach Qatar for any reasons if it is fired from Iraq or occupied Kuwait. It did ! The 'trio' of Govindankutty,Thomachen and me decided to keep our cars ready always with full petrol tanks.And keep some good amount of cash with us.Plus I purchased two extra 20 litre metal cans which are also kept with petrol in store. A road map of the middle east countries also was kept in the car, in case. Good interaction on the subject was always there with our other friends and Ravi and Latha, our good old neighbours. My appa (father) persuaded me over phone to return to India without taking a risk like any parent of that age. I could always join back PWD in India from where I came to Qatar on unpaid leave,he told. But when I told him that I have tried to send Geetha and children home but in vain,and not me since it is not morally right to leave the staff and workers of the company at that juncture,he advised to remain as a whole family in Doha than sending the rest of the family. He and amma (mother) were understandably uneasy. Panic has started to increase among the expatriates. Many who could take long leave left the country - even flying on available tickets to anywhere in India!! Domestic air lines were jam packed in India and as such many were reaching destination by bus standing!!! Few left the country for good.There was a scramble for air tickets when the local authorities announced that the airport will be closed soon.I was told that there were so many people who could not catch the flights on the last day prior to closure at the airport and many of them who were left out were crying in the airport begging for tickets!! Scene of frantic passengers left on board when the last life boat also left the sinking ship as shown in the film 'Titanic' later , perhaps could be a close scenario ! There was frenzied purchases of food and water in the super markets.In case of a prolonged war everyone thought there could be severe shortages of staple food items which are all imported . Many were buying cartons of mineral water and mounds of pulses! !We could see some families buying dozens of cartons of drinking water in the supermarkets. May be thinking of disruptions to water supply or even sabotage! All it seems stocked candles as well in case of power failure!We did not fall short although might have stocked to a minimum, in case.... Interestingly authorities made sure that everything is available abundantly for purchases for the public at the same prices.Absolutely no shortages of whatever or price hikes! There was no shortage for rumours among Indians.Keralites call it 'lungi news', lungi being the homely dress of a 'Malabari'(Keralite) male !! The most sought after material of the public to be purchased those days was masking tapes.Fearing a chemical warfare,all the windows of apartments and houses were sealed with masking tape.I wish now Al Balagh could have traded that commodity then which we did later. I don't know who started this but soon all in Qatar might have done this exercise . We were staying in an apartment then and promptly did the same. I was worried about the exhaust fans but could do a mechanism in which the same can also be closed air tight in seconds!!! Some did not take that chance either, they closed the shutter of the fans permanently even in the kitchens!! In the middle of the night before Desert Storm was declared to start, before I slipped to sleep, silently I got up and checked once again all the widows and openings of the apartment to ensure that it's all closed airtight with masking tape. Geetha and children were sleeping. I spent some time looking at the main highway from the window. Everything was still. No movement on the road at all.But the street lights are on. Tension was there in me a bit. Did I take a wrong decision staying back? Action of Saddam Hussein was unpredictable. Or at least it was projected so by the media. The worse scenario expected was firing salvo of his missiles on the first day with chemical war heads to all neighboring countries who have joined allied forces to show his strength! For the first time after coming to Doha, one torch was kept handy within hand's reach by the bed side!! On Jan 17 1991 around 3.00 AM local time ,much anticipated operation desert storm is commenced . 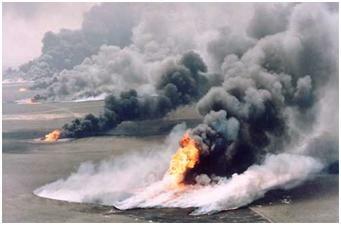 Ariel bombardment started on Baghdad and elsewhere in Iraq. For the first time in the world people watched in astonishment on TV a live war transmitted through satellite. I took the liberty to stay back with family for one hour more in the morning than the usual time,children's school was closed but seeing everything is normal set out for the work. By that time Mr.Sherida,our Chairman had called me "Jaison,Where are you?". I was expecting a black out in the night at least at the peak hours but did not happen. As usual the roads in the city were flood lit. Not only that day but for the whole period! 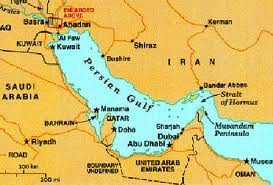 On Jan 23,Iraq forces dumped millions of gallons of crude to Arabian Gulf causing largest spill in history to that date, could be to ward off attacks from sea. Attacks and counter attacks followed . Iraq's trump was expected to be attack on Israel by SCUDs which they did as predicted. The flow of the war events would have changed had Israel retaliated, everyone knew. But Israel did not retaliate although it seems they were on the verge of it. I still vividly remember those tensed moments!Iraq fired a lot of missiles at Saudi Arabia as well .All these events and aftermaths were shown live in the TV for the first time! Another countries Saddam fired the missile was Bahrain and Qatar. One missile landed in Qatar but without any loss of life or damages!! Surprisingly I came to know of this incident only later since there was no mobile telephones those days and it was a day for major concreting in a project for Al Balagh where I was! Firing of SCUD s-total of 88- by Saddam,commencement of ground assaults by Allied forces on 24 Feb and later pulling down of the statue of Saddam in the central yard in Baghdad are the scenes still live in my mind like anyone else who was in the Middle East then. Torching of hundreds of oil wells in Kuwait,700 of them I was informed later, by the retreating Iraqi forces which produced vast amounts of smoke and pollution in the region was really concern by all. On 27 February, Saddam ordered a retreat from Kuwait and Allied forces declared Kuwait liberated. 'Sortie'which means dispatch of aircraft became a new common term used in those days in our life .Each evening Allied forces spokesman used to brief in TV how many sorties they conducted each day . We used to joke among very close friends enquiring about how many 'sorties' he had that evening meaning 'pegs of liquor' !Another term which hit my mind those days is 'friendly fire'. On 28 Feb 1991 Kuwait is liberated and cease fire is declared. Having said about the whole 'tensed' days in general Qatar was cool and safe for the whole period.When I look back , the incidents during these 7 months , gave all the expatriates shots in arms for more confidence in the ability of this country to handle unprecedented situations like this. Commencement of News channel war ! Gulf war triggered another 'war' in the world which is still on.News channel wars.US network CNN was the first news channel in English which telecasted live for 24 hrs.in Qatar.People around the world saw the live war scenes from even their bedrooms for the first time in the world. 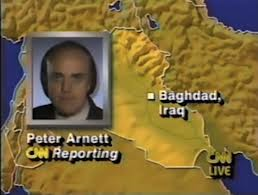 I remember well the live broadcasts from time to time ... "This is Peter Arnett from Al Rashid hotel, Bagdad". Each word he spoke was important for us those days. All TV stations and networks had to exclusively depend on CNN which was watched by over a billion viewers around the world.CNN International followed by a host other international news channels came to existence soon after the war which is known to all. Subsequently various national TV news channels also increased considerably. In my home state Kerala in India where we speak Malayalam , which is limited just to that state and those Malayalees who are settled in other places ,there are almost a dozen news channels live in the air 24 hrs., 365 days ! The competition among them plus political consciousness of the people has made the 'war among the channels' so stiff that they 'break' news of even minor political importance or gossip news claiming to be investigative journalism !!! Yes , the same Libya the whole world had focused a year back , following 'Arab Spring' . 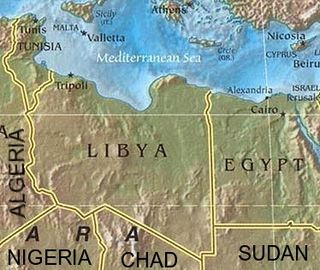 Libya is a known name since ancient past . But the details are not known to the rest of the world the way neighboring country Egypt is . In the current world it is an oil producing country , rich and a new political system is in place . But what I want to introduce is a Libya which I knew first hand about thirty six years back which presumably most of you did not know. I was working as a project engineer in Kerala State Construction Corporation in their overseas project in Libya . That was in 1977 and I was 27. Nebu , my friend and I had been for one of our routine weekend evening film shows in 1977, they call it first show in Kerala, at Menaka movie house at Kochi . At the interval recess time as we were walking to have 'a tea and a smoke' towards the door that I got a call by name from the back. It was none other than Mr.CM Antony , MD of the Construction Corporation, one of the dynamic personalities I have met during my young professional days . "Chacko ,Congratulations". May be seeing my perplexed face he continued "It seems that you do not know the news yet. You are selected to join our Libyan project pilot team. I have signed the orders today evening". It was a surprising news indeed although I knew that a pilot team had already left for the destination few weeks earlier. I and Nebu got out of the hall but instead of having tea went straight to a beer parlor which was close by to celebrate ! I was thrilled for sure. Three weeks later when I took an Indian Airlines flight to Mumbai , it was not my maiden flight. It was my second time being air borne. 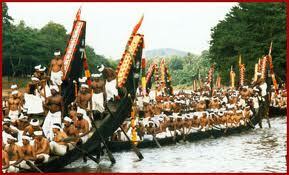 The first was when my appa (father) took the whole family from Kochi to Trivandrum when I was four years old in 1954. When I look back now, I have to laud him for his foresight, making such a costly venture those days since it was a rarity to travel by air not only in India but in the whole world and he was not born with a golden spoon in the mouth. Air India took us- me and few other colleagues- to Rome and an Alitalia plane finally to the destination -Tripoli. It was late evening when we reached there. Nobody was there to receive us in the airport due to some miscommunication! But with a bit difficulty we could find our headquarters in the city, may be because the taxi driver could identify us as Indians . Flow of Indians to Libya had not started then and it could have been easy for the driver to identify the few available. National Building Construction Corporation (NBCC) , a Govt of India (Federal) undertaking got a contract of building massive housing complexes in Libya .Kerala State Construction Corporation (KSCC) , a Govt of Kerala(State) undertaking signed a sub contract with NBCC for few exclusive sites . I was on secondment in KSCC from my parent dept which was PWD. Those days in India major business houses including those in construction were fully owned by the Govt sector than in the private since a path of socialism , five year plans were the order of the time- a sort of erstwhile USSR style of development. 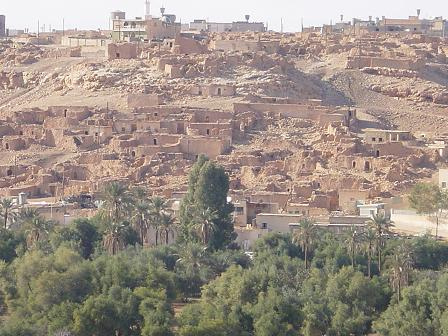 The contract was with Public Housing Corporation of Libya at Beniwalid, 80 kms away from Tripoli. Libya was in the initial phase of development since Col Gaddafi came to power . That was the time when Libya was officially known as Socialist Peoples' Libyan Arab Jamahiriya from Libyan Arabic Republic . Having generated billions of petro dollars the country was on the verge of massive infrastructure projects it launched later . Mr.James Paul was hand picked by the Govt of Kerala to be the CEO of the Project . He was known to be a honest, technically sound engineer who delivers quality projects in time . In fact KSCC was full of such professionals - senior and junior- in the initial years of existence and when in hindsight I look back now, they have been delivering the best in the industry but being honest settling for paltry salaries from the Govt. those years. I happened to work with him in one small project site at Kochi, directly reporting to him. That could be the only reason why I was selected in the team because I was too young then to show any professional talents anyway but I got the first boost in my professional career from him. 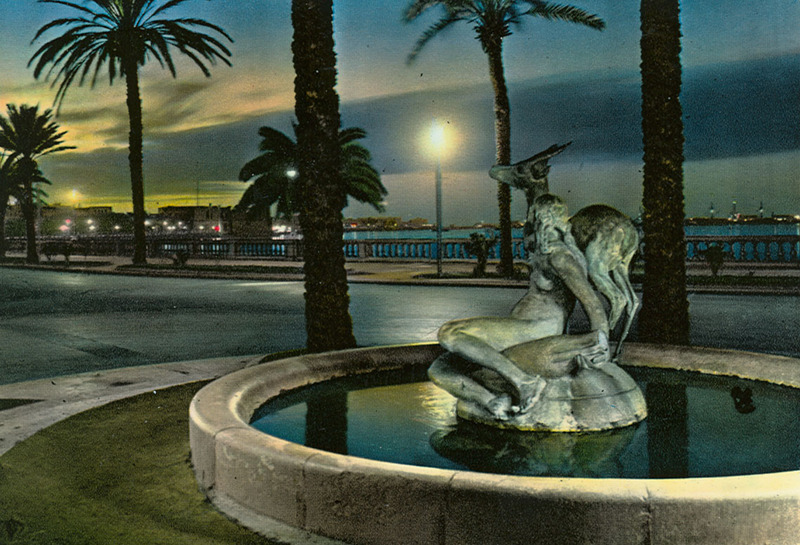 Tripoli (Terabulus in Arabic) ,capital of Libya is a port city on the Mediterranean coast. Most of the buildings being in white colour was a special treat to the eyes . My mind is still fully reminiscent of the sea side boulevard lined with tall orderly palm trees , the main city square painted green on the cemented floor - it was called Green Square then (Could be Martys' Square now), Shops full of Italian,Greek and Maltese goods, a 'cathedral mosque'- mosque converted from a church right in the city centre. Cars mostly were French Peugeot for some reason . As one move out of the city , one could see massive olive plantations being made out of the barren lands which was very common. Those were the 'Green Book' days , the book Col Gaddafi has written to explain how to run a country politically. There was no freedom of press .TV was in black with boring Govt sponsored programs exclusively. But that was better than in India- we did not have TV at all those days! We were told not to mention Col Gaddafi's name in public , not even in a taxi, even if you are speaking in any foreign language , forget about any criticism of him ! Hence we have been using the term 'payyan' പയ്യൻ meaning 'kid' in Malayalam whenever we want to talk about him! Baniwalid is a town situated on the banks of a valley but our project site was further 15 kms in the country side in the villages towards Sahara desert. In fact it was then I have learned that in Arabic , word for desert is Sahra and that could be the reason behind why 'Sahara' is known for the largest desert in the world. Climate was very hot in summer and very cold in winter. Like anywhere in the world villagers of Libya were more friendlier than those from the capital. I still remember one Ali who was a primary school teacher who used to spend a lot of time with us in our house especially on weekends . People in general were not friendly towards foreigners residing in the country , may be they have been living in closed societies over the last few decades , if not centuries. Historic past..A pope from Libya? Mediterranean Coastal land of Libya had an exciting past . May be the strategic location ancient Libya invited Roman and Greek occupation. As the name itself suggests 'Tripolis' means three cities, comprising of Oea (Tripoli), Leptis Magna and Sabratha . Libya was under Roman rule between 186 BC and 670 AD. 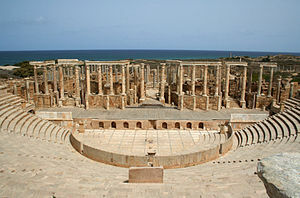 Leptis Magna was the capital of the province of Tripolitania under their rule. One can find a lot of Roman ruins of the past town still preserved for the visitors. There was a reason for the extensive magnificent structures being built in Libya . The Roman emperor Septimus Severus was born in Leptis Magna in Libya. He made his home town remarkable once he came to power in Rome , rivaling Carthage (present Tunis) and Alexandria (Egypt). Libya remained Christian and Jewish till 642 AD when Arabs conquered it to be followed by Ottoman empire. It remained so till Italians made it a colony of theirs in 1864. I do not think that the fact that one of the popes of Roman catholic church- Pope Victor1(189 AD-199 AD) was born in Libya (Leptis Magna) is known to many !!! I was in the execution team of the project which spread to 3 villages around Baniwalid . Among the team ,I was one of the youngest and bachelor among all the engineers . These days in Libya gave me a preliminary exposure to more mechanized way of construction than manual which was prevalent in India those days . Jack hammers, power tools , hollow block making machines , concrete trucks and pumps , steel scaffolds , concrete vibrators, dumpers and pneumatic mobile mixers, caterpillar trucks were all seen with a pinch of surprise by us because of the paucity of such equipments in India . 25 years later India started manufacturing and exporting these machines world over is another matter. There was a Libyan Supervisor representing his Housing ministry who used to visit our sites very often . I do not think that he has gone to a proper school but he was the boss, might have got the position with political connections, with Palestinian, Egyptian, Tunisian, Romanian, Hungarian engineers under him ! !He did not know a single word of English while we were fully ignorant of Arabic made an uneasy situation for communication . Plus the fellow was very moody, within seconds he was capable of changing from smile to rage and vice versa ! The problem was tamed by deputizing one senior engineer among us who had a knack of getting along with all sorts of people . Like Col Gaddafi , we nick named the supervisor as സ്വർനപല്ലൻ , the person with golden tooth since he had one !! The house where we stayed was full of fun once we get back from the sites. In spite of many practical difficulties , we could enjoy the stay which was reminiscent of old hostel days in the engineering college . Alcohol was banned in Libya strictly . I still remember one of our engineers who used to brew alcohol once in a while from fruits . The 'technology' he used was simple. A lot of mixed fruits were cut to smaller pieces . Yeast and water is added to that until fermented which takes few days . Then the same was transferred to a pressure cooker and slow fired . The outlet of the cooker is connected with a hose which is passed through cold water for condensation. Alcohol starts coming out of the hose in drops ! There were some practical problems . The stage of fermented fruits brings a peculiar smell which can be identified miles away. We were afraid Ali , the friendly Libyan who used to visit our home regularly . The problem was solved since an air tight cup board with blocked key holes was used for the purpose while the fruits being fermented! Another problem was too much demand which out beat the supply esp. since the whole process was very slow !! This we could not solve till we departed the country! Libya was undergoing a transition of 'rags to riches' those days and hence many unique situations had to be confronted. For having a personal bank account in a bank, which are all Govt controlled, an expatriate had to wait for ages, forget about sending money abroad ! This situation unknown in India created a lot of friction among staff and workers. Getting letters by post to and fro India used to take weeks .All essential commodities were imported and due to reasons unknown there were severe shortages at times. I still remember a period of a week having food without salt! !In the whole country salt had vanished ! Since we were new to the country we were caught unaware. Then only we knew that all others used to hoard the essentials in the house! When we returned to India in early 1979 after the strange experiences we had to face there- professionally and otherwise- it was not with a good feeling . Unfortunately we all thought the whole middle east including gulf states were from similar stock . It may be for this reason that none of others in the group never ventured again out of India. But I did in 1984. After getting ascertained from one of my cousins who was in a gulf state for few years that the scenario in the gulf states is quite different , I took up an opportunity to go to Qatar . It was a difficult decision to make ,to leave the 'comforts' of being in a Govt service esp. since I would have ended up in a position of Chief Engineer in PWD in the fag end of my service . But I decided differently to try my talents, what ever I have, in private sector management than the Govt service. That is probably the best decision I could make in my personal professional career life. Still going strong with my career at the age of 63!